After high winds for a few days last week, Sanibel Island had some interesting live creatures wash up on all of our shores like the MILLIPEDE STARFISH (aka- SEA STAR ;)) at the Sanibel Causeway and…. There were empty shells washing up too. Tom from Indiana found an JUNONIA off West Gulf! Lots of shell EGG CASINGS were washing in at Gulfside City Park along with PEN SHELLS and SPONGES. These were my three favorite shells I found last night at dusk at Gulfside- an ALPHABET CONE, DOSINIA and a gorgeous color BANDED TULIP. The first and last photos in this post are especially beautiful Pam. Thanks for posting. Gorgeous Junonia, well done Tom from Indiana. And Pam, that final shot is really superb!!! that starfish looks like he thinks he’s a spider! Thanks y’all! Hey, are y’all having trouble commenting? It’s weird that I had to approve a few comments that should be auto approved. Have things changed for y’all to comment? 7:38 I’m checking out the commenting now. I love that photo of your favorite shells! The photo of the millipede starfish is really amazing too, because the wave seems to be doing the exact same dance that the sea star is doing! Why do you thin the sea star was doing that?? Any ideas? It looks as if it is saying ouch! The sand is too hot for my feet! Gorgeous pictures! Tom really got himself a prized junonia. Please let Clark know that his humor is appreciated. I always check the weather for your area and noticed that winds were favorable for good shelling. Great finds once again! I had to fill in my info and my message had to wait for approval on both of my comments. Could that be because I am on my laptop instead of my desktop computer? When we were on Sanibel in March, I found several dried sea stars off West Gulf. Now I know what they look like when they are alive. Always looking forward to my next shelling visit to Sanibel. My husband is crazy about shelling, too. That junonia is a beauty. I’ve never found even a piece of one. Great staff photo Clark! That bottom photo is so beautiful Pam. We are planning our trip to Sanibel for this summer YAY! Looking forward to another shelling cruise. Any planned for July? Great pictures. Love the dancing sea star and the last picture. I’ve had trouble writing comments-it’s very slow. I usually use my NOOK, but I’m now using my computer. Keep up the good work. One thing I just noticed is that under my email address there are 5 listings with the correct one on the bottom. I tried deleting the incorrect ones, but the computer won’t let me. Is that the same Tom from Indiana that found the albino lighting whelk in January? I was the lucky winner of the junonia canvas and pray each trip to find one but guess I need more trips (lol)!! I’m voting for the sea star to be one of your next canvases! Simply exquisite!! How blessed we are to find such gifts from the sea!!! WTG Tom! Absolutely LOVE your picture of the sea star Pam! Wow on that huge Junonia! All your finds are just beautiful! I can’t wait to hit the beaches next week! I absolutely love your site Pam! I want to go to Sanibel so bad but the only problem I have is that I live in the Netherlands. And booking a hotel plus flight in the highseason is quite some money I probably won’t have for at least two years. 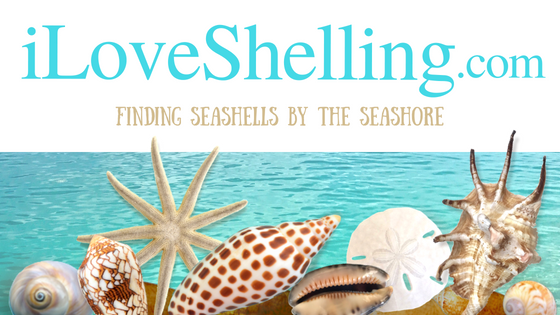 But when I have enough, I will definitely book a shelling cruise!